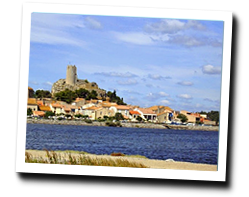 2 hotels with a sea view are waiting for you in Gruissan. 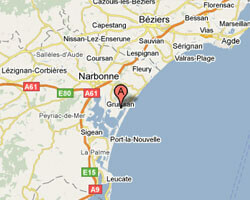 Gruissan is located near Narbonne. The village is overlooked by the ruins of a castle. This is one of the prettiest beach resorts in the Gulf of Lion. At the seaside you can find sandy beaches. Mateille beach is the wildest. The “Plage des Chalets” is the most picturesque with its chalets on stilts. The Ayrolle pond and the fishing village are classified Natura 2000. In Gruissan enjoy the pleasure of a sea view hotel.